At Miltsead and Frinsted we try to ensure that the children have an exciting and interesting curriculum, with many activities taking place to stimulate learning. On this page we will put links to any articles or information about the school which occur in the media so that we can share the many opportunities we are affording our children. We hope you enjoy the articles as much as we enjoyed the activities! Could the next Lord Alan Sugar or Karren Brady be among these faces? Groups of children at Milstead and Frinsted primary were asked to come up with a product to sell in order to make a profit as part of enterprise week. The Year R to Year 6 pupils then had to pitch their ideas to head of school Katherine Baker and secretary Kathy Dowling to secure funding to make their items. In addition they looked at budgeting, advertising, costing and profit. 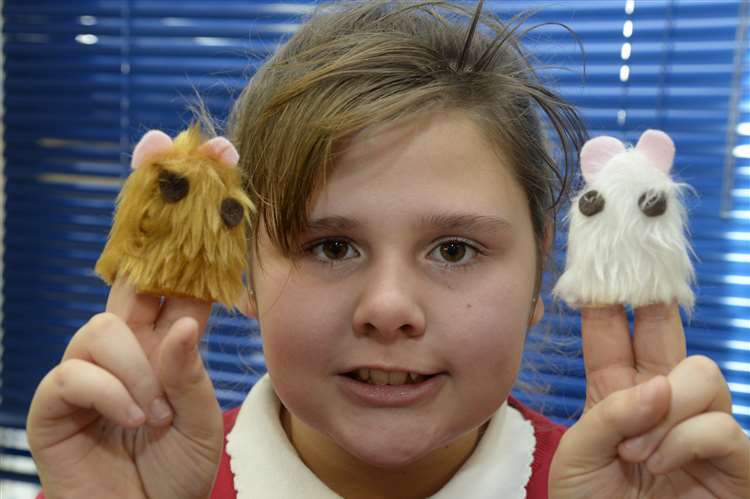 It culminated with them selling their creations to parents, carers and visitors in the school hall on January 30. Goods included bracelets, sweet kebabs, photos of the school guinea pigs, cupcakes and recipe books. 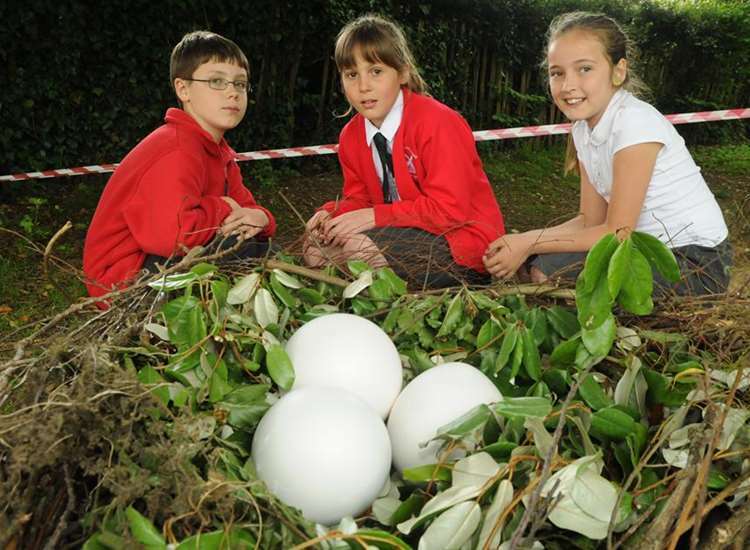 Staff and pupils at a village school were left shaken when they returned from the half-term holidays to find a giant nest containing three mysterious eggs. 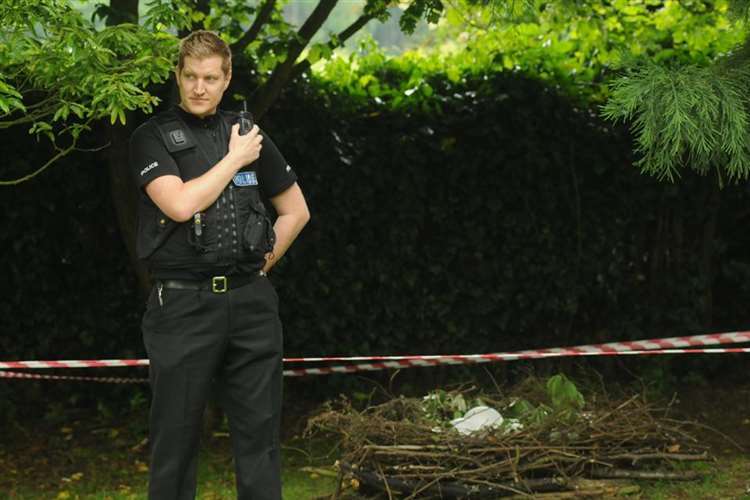 The police were called in following the discovery just before 9am on Monday at Milstead and Frinsted primary. The eggs, which were white in colour with bluey/pinkey dots, were left under a tree some time between the school breaking up and children returning from their hard-earned rest. Staff moved quickly to isolate the area by putting a plastic tape cordon around the nest while curious kiddies looked on. Throughout the school day, debate raged on what the eggs could be and whether the 'mother' would be returning to eat pupils, staff or both. The general consensus was that they belonged to an ostrich or a crocodile or a T-rex or a dog or a chicken or an emu...or came from space. One young boy, who asked not to be named, said he'd noticed claw marks on a tree and nearby horses acting strangely. When asked what they would do if the creatures turned out to be crocodiles, the children were split between selling and keeping them to patrol the school grounds. Head of school, Katherine Baker, said strange markings had been left in the playground and warned the children not to get too close. The police were called and PC Andrew Dennett arrived on Monday afternoon to interview the children about what they'd seen. At the time of going to press, the eggs still hadn't hatched, but cracks were appearing and pupils were desperate to discover what was inside. 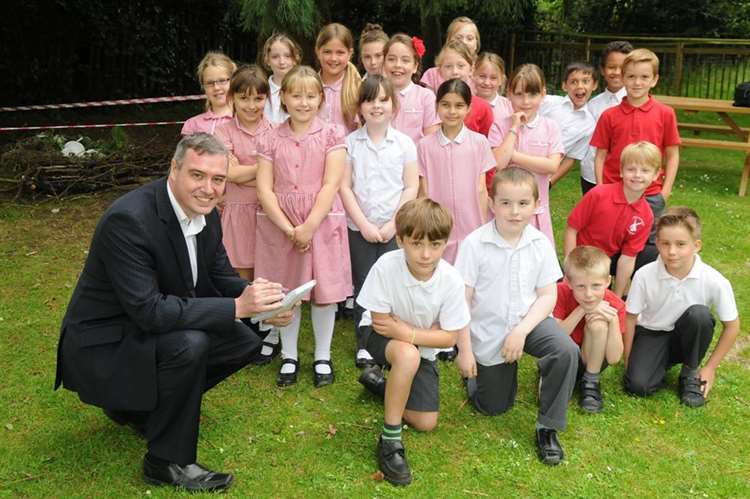 The Sittingbourne News Extra was delighted to take part in this special exercise where pupils were challenged to use their imaginations and deduction skills. A child’s drawing of a hungry bin has been put up in McDonald’s car parks to encourage people to dispose of their rubbish correctly. 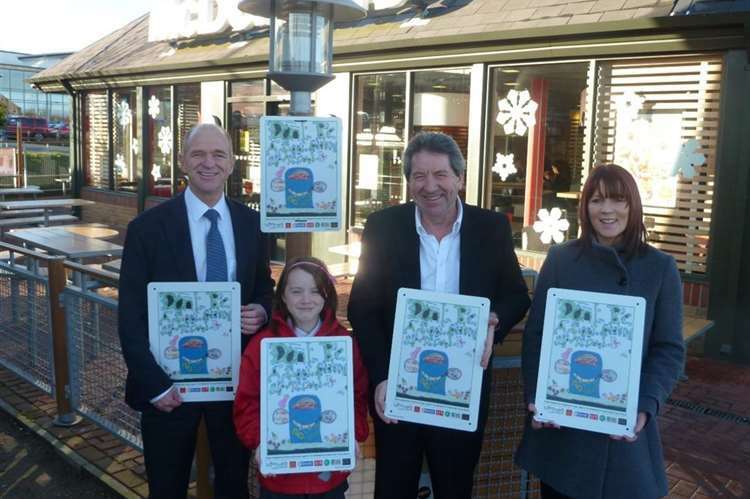 The poster designed by nine-year-old Milstead resident Kristan-Lee Kruger was chosen as the winner of an anti-garbage competition run by charity Litter Angels. Part of her prize was for the design to be printed onto a metal plaque and displayed at restaurants in Sittingbourne, Bobbing and Sheerness. She also received a cheque for £50 and £100 for her school at an awards ceremony at UKP Leisure Club, Avenue of Remembrance, Sittingbourne, last November. The youngster, who is also an honorary Litter Angel, said: “When I had to go to McDonald’s to see my poster up it was the best day ever.